While other GSM network provider like Glo is constantly increasing data cap at minimal prices, Etisalat on the other hand will not just learn from their competitors and are busy doing the reversal. We regret to notify you that Etisalat has just increased the prices of their new monthly data plans; so beware of this increment! And the funniest thing is that aside from this latest increment in prices of Etisalat data plans, Etisalat in the past has always been the GSM network provider with costliest data plans, and now again they are still increasing prices. For instance, the Etisalat monthly data plan of N1,000 that used to offer 1.5GB worth of data before, now offers 1GB for that amount; and if you now want the monthly data of 1.5GB, you will now have to pay N1,200 for that. So are other Etisalat monthly data plans too, there prices have all gone up instantly and without notification from Etisalat. This latest development from Etisalat is sad and totally unacceptable I must confess, and they will probably be losing out in this highly competitive industry if they continue in this manner. 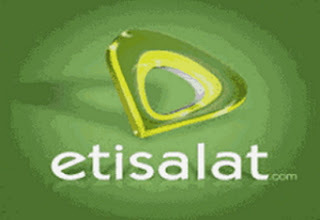 Remember that to subscribe for any of those Etisalat monthly data plans listed above, you can easily do so by dialling *200# and replying in this order 3>1 and replying with the number that corresponds to the monthly data range that you want and again finally replying with the number that corresponds to the data plan you are buying.